Photos provided by Andrew Monkhouse showing mill girls and hostel girls, taken late 1950s or early 1960s. 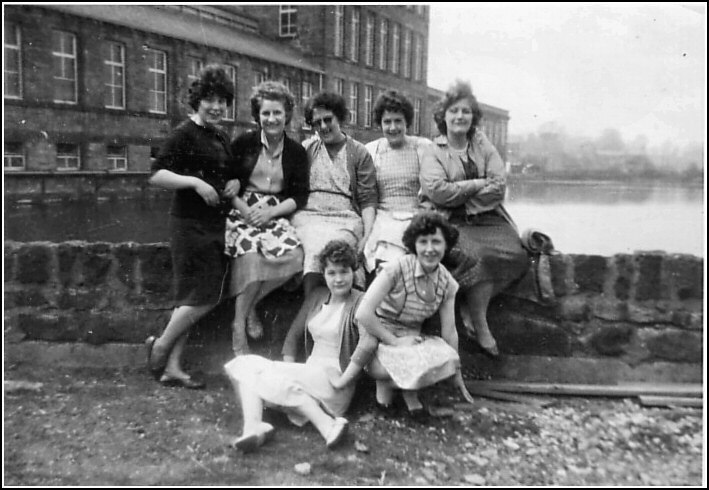 Mill girls in front of Bairstow's mill and mill dam, taken late 1950s or early 1960s. 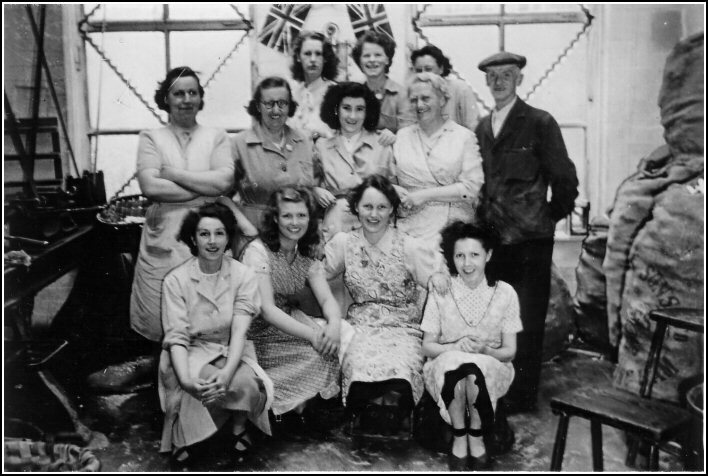 Andrew's mum, Betty Monkhouse (nee Frankland) is kneeling bottom right. 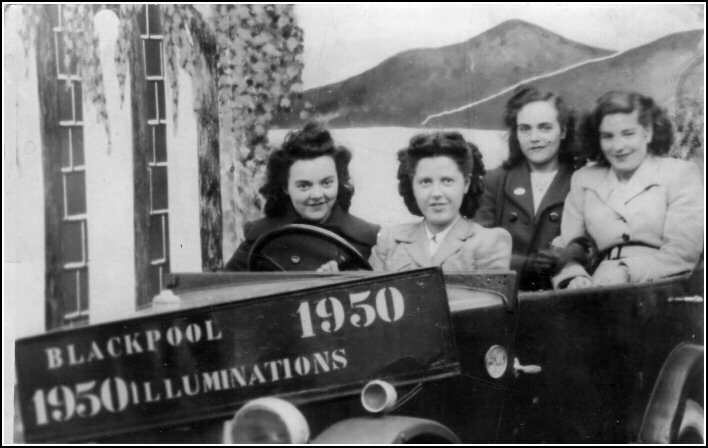 Sutton Hostel Girls on a day trip to Blackpool in 1950. Andrew writes: "My mum is 2nd from the left in the front seat. pencil plus an age that has been corrected from something to 19. 23 depending on what month the trip was. Geof Happs identified the girl second from the right as Venus Taylor. memories for you, please add a message in the forum section.